Aspire Early Intervention offers ABA therapists, undergraduate students who study psychology, speech pathology, occupational therapy, or related course work, teachers and parents the opportunity to gain formal training in the field of Applied Behaviour Analysis. At Aspire we offer therapist training to become a Registered Behaviour Technician with the Behaviour Analyst Certification Board in the United States. We are always seeking highly motivated and competent Registered Behaviour Technicians to join our dynamic team. 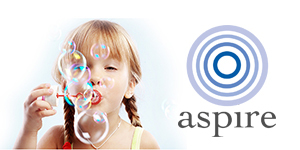 The RBT is an important part of the Aspire therapy team as their work directly influences the success of the child. You will be responsible for the provision of direct therapy services in the implementation of programs and behaviour intervention plans for children. This can take place at our centre, at the child’s home or in their (pre-)school setting. Why become a Registered Behaviour Technician? Registered Behaviour Technician is a credential for people who practice under the close, ongoing supervision of a Board Certified Behavioural Analysist, or Board Certified Assistant Behavioural Analysist. The RBT is primarily responsible for the direct implementation of skill-acquisition and behaviour-reduction plans developed by the supervisor. The RBT may also collect data and conduct certain types of assessments. Aspire is an organisation that values education and wants to provide the best possible, evidence based practice for our clients. Having all our staff members certified as Registered Behaviour Therapists allows us as an organisation to provide high quality services and provide excellence in therapy. Download our flyer to find out more about Aspire’s RBT training. Send us your details and we’ll get back to you with more information or help you to enrol!